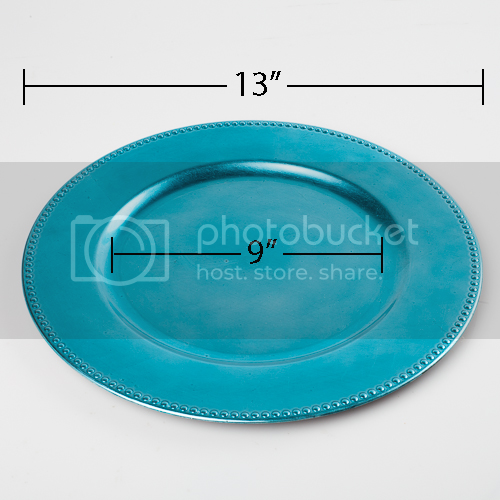 Our Richland Charger Plates will have your guests wondering how you created the perfect table! Not only are Charger Plates a beautiful and elegant addition to your table top, they serve other purposes as well. They add a shimmer and color to design and they protect your linens. Our Chargers will fit standard dinner plates easily as well as bowls or dessert dishes. Using Richland Charger Plates allow you the ease and confidence in decorating that create the perfect look! Choose from 6 perfect colors to easily match any design!